Price Drop! Was: $179.95 Now: $129.97. For a limited time only, while stocks last. 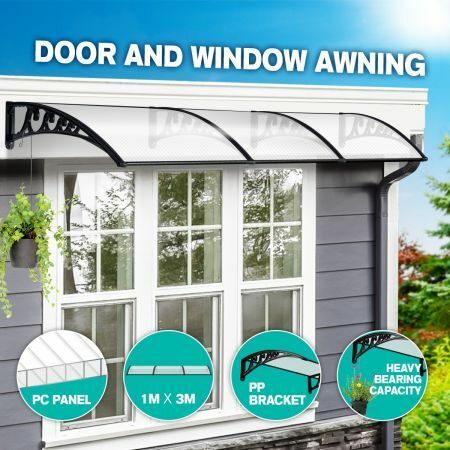 This awning is a great way to protect your doorways or entrance areas, a window from the sun, rain, snow and hail, and keep the area clean to some extent. With the lightweight but durable hollow sheet, resisting corrosion and aging, the unit is equipped with sturdy PP wall bracket and aluminium fixing bar. It can hold up to 140kg. What's more, it includes all installation hardware, allowing you to assemble with ease. The modern and sleek design makes it easy to blend with any home and business environment.